Known for: First farm to create a still wine from a Chardonnay Pinot Noir blend. Similar type of terroir as Burgundy in France. Family owned. Haute Cabrière, situated in the picturesque Franschhoek valley, focusses exclusively on the creation of wines from the Chardonnay and Pinot Noir grape varietals. The cellar was originally founded with an emphasis on the production of sparkling wines made according to the traditional French method of bottle fermentation, referred to in South Africa as Méthode Cap Classique. These wines are produced under the Pierre Jourdan label along with a still wine, Tranquille, and fortified dessert wine, Ratafia. 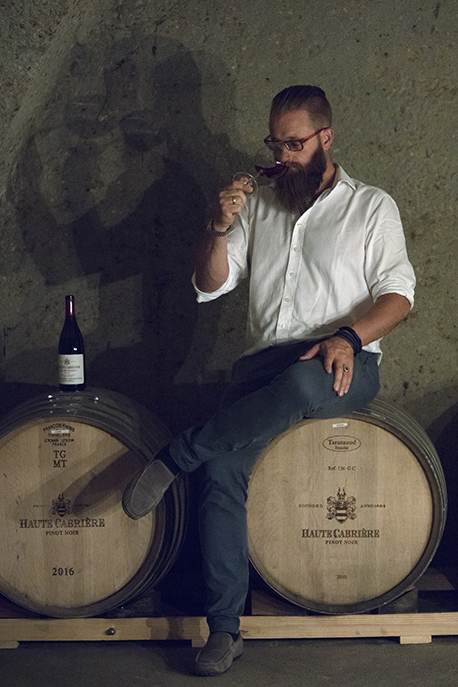 Other still wines are produced under the Haute Cabrière label and the most famous is the blend of Chardonnay and Pinot Noir, along with the Pinot Noir Reserve. The farm’s origins date to 22 December 1694 when French Huguenot Pierre Jourdan was granted a piece of land in Olifantshoek, today known as Franschhoek, which he named after his home town of Cabrière. In the early 1980’s Achim von Arnim, then still Cellar Master at Boschendal, purchased a portion of this land, aiming to establish his own winery to create wines in the style of the Champagne region. A few years later, Von Arnim acquired another piece of land, now known as Haute Cabrière. Situated on the slopes of the Franschhoek mountains, it reflects a similar type of terroir as that of Burgundy in France. Today Achim’s son Takuan heads up production at the cellar and continues to create outstanding wines from Chardonnay and Pinot Noir, inspired by the philosophy that the unique characteristics of the vineyards and terroir are pivotal to the creation of wine, and that human intervention in the cellar should only facilitate the process. 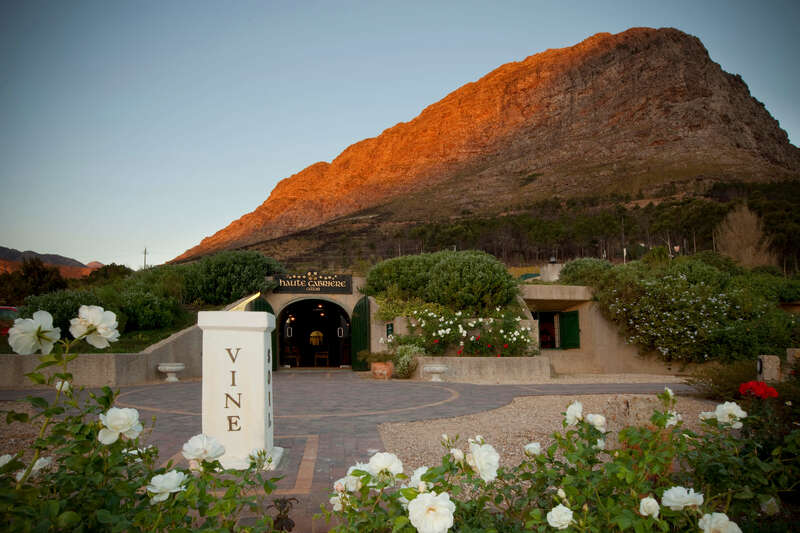 At the Haute Cabrière Tasting Room, guests can enjoy wine tastings overlooking the spectacular Franschhoek wine valley. Cellar tours offer guests the opportunity to learn more about the farm’s rich history and provides a behind the scenes look into the winemaking process. At the end of the tour guests are treated to a dramatic display of sabrage – the art of opening a bottle of Pierre Jourdan Méthode Cap Classique with a sabre. By prior arrangement Hildegard von Arnim can also present private cellar tours and tastings in French or German. Haute Cabrière Restaurant offers lunch and dinner in the majestic mountain cellar restaurant or on the terrace overlooking the valley. Chefs Nic van Wyk and Westley Muller’s cooking style is firmly rooted in French technique, incorporating uniquely South African flavours. A highlight is the six-course tasting menu, each course thoughtfully paired with the Haute Cabrière and Pierre Jourdan wines. Second generation Cellar Master, his philosophy is about expressing terroir and cultivar. He continues where his father Achim left off, pursuing excellence in Chardonnay and Pinot Noir.